We all take photos with our smartphones. (And if you’re anything like me, then you store more photos on your phone than you care to admit.) Although a digital photo is more than just a pretty picture and its GPS location; you might not realize how much data is actually available. At The Phocaz Group, we think the metadata ‘hidden’ within digital images can serve many uses. 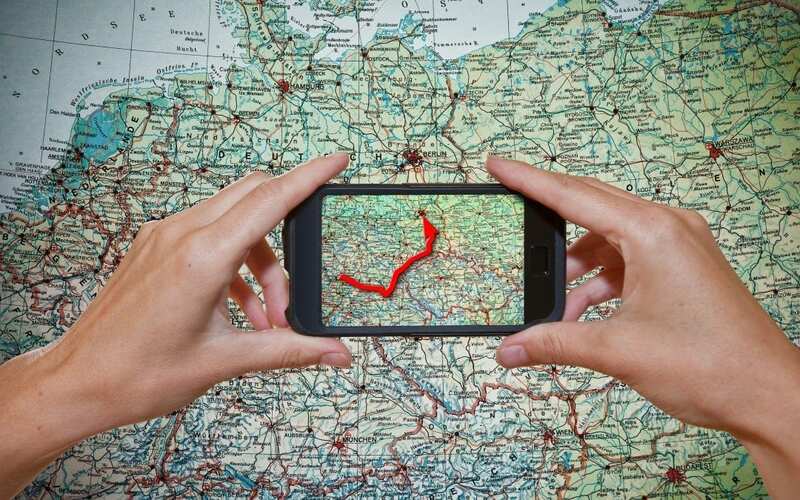 In fact, we are so convinced of its usefulness that we develop apps around GPS photo data. Below, there are two photos of my driveway that I took with an iPhone 6. I used an online metadata reader, and I’m going to compare the GPS photo data of each photo. This is a photo of my driveway’s entrance, and the image to the left shows the metadata. As you can see, there is a lot more information stored than just the GPS location. We use Altitude, Bearing, Latitude, and Longitude to develop programs for The Phocaz Group. The second photo is of the driveway’s base. The driveway slopes; and the entrance is much ‘higher up’ than the end of the driveway. The GPS location alone does not provide any information about elevation. 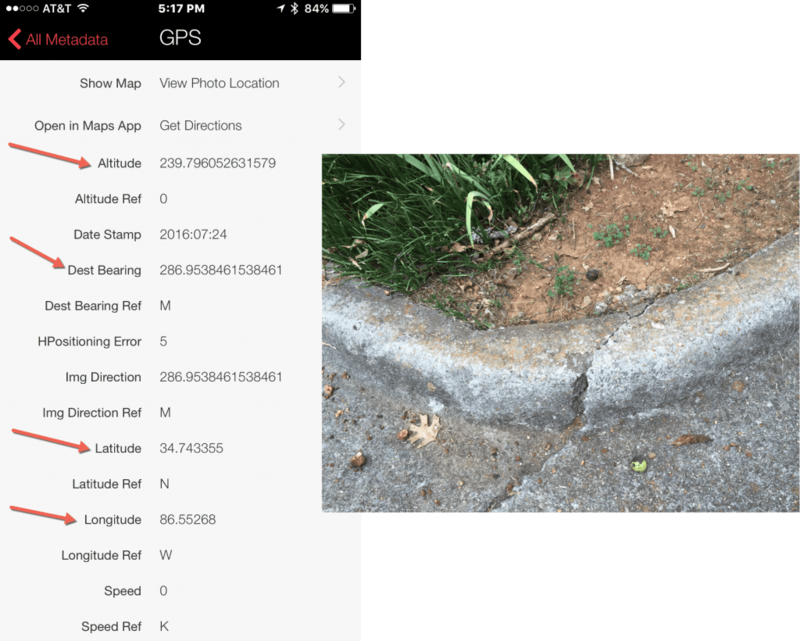 But the GPS photo data does exist and you can access it! Smartphones store the Altitude as metadata ‘within’ each digital photo. 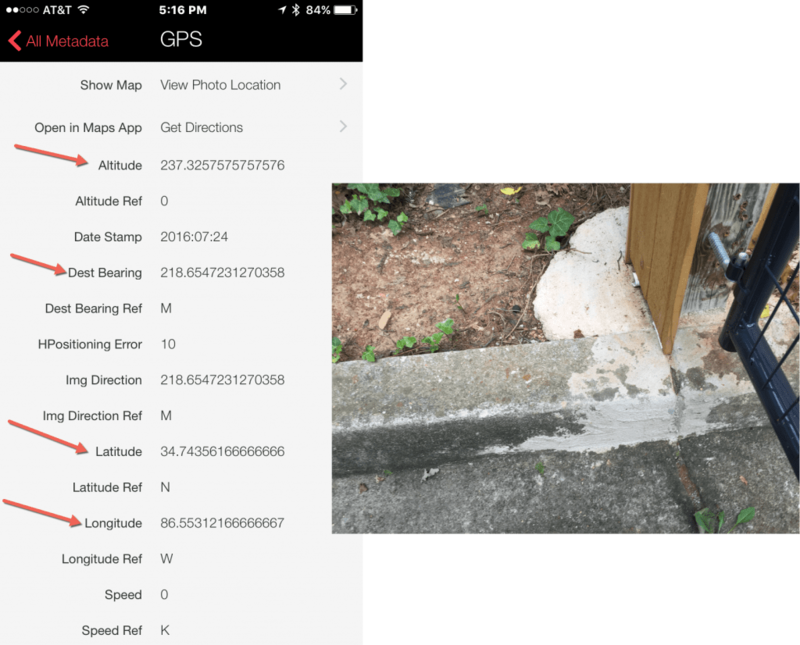 Thus, by comparing the GPS photo data of the two photos, you can calculate the change in elevation. The difference in my driveway’s Altitude is roughly 2.5 meters or 8 feet. Once you know about photo metadata; the practical uses are almost endless. Furthermore, photo metadata is not exclusive to GPS photo data. It seems like other types of information about a photo could come in handy. What kind of metadata would be useful to you or your company? Resource: Online metadata reader, Metapicz. The site allows you to drag and drop photos to see the metadata attached.